Buddhism is the religion and great philosophy of India's Shramana tradition. Buddhist religion has been established in the 6th century BC. 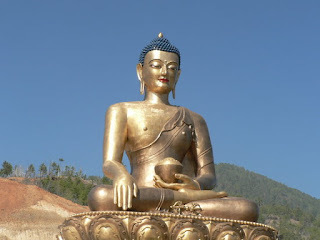 Lord Buddha is the founder of Buddhism. Lord Buddha was born in 563 BC before Lumbini, Nepal and Mahaparinirvan in Kushi Nagar, India 483 BC. In the next five centuries of their Mahaparinirvana, Buddhism spread throughout the Indian subcontinent and spread to the Middle, Eastern and Southeastern Jambu continents in the next two thousand years. Today, although Buddhism has three sects: Heinan or Thiruvad, Mahayana and Vajrayana, but Buddhism is the same. All Buddhists believe the Buddha's doctrine. In today's Puri world, more than 180 million people are followers of Buddhism, which is 25% of the world's population and it is the world's second largest religion. Buddhists are very active. Today, Buddhism is the 'major religion' religion in 18 countries, including China, Japan, Vietnam, Thailand, Myanmar, Bhutan, Sri Lanka, Cambodia, Mongolia, Tibet, Laos, Hong Kong, Taiwan, Macau, Singapore, South Korea and North Korea. Lakhs and crores of Buddhists are also in countries like India, Nepal, America, Australia, Indonesia, Russia, Brunei, Malaysia etc. The complete adherence to ten parallels is called Bodhisattva. When Bodhisattva achieves ten forces or lands (Mudita, Vimla, Deepti, Architum, Sudhjaya, Oriente, Ranganga, Akal, Sadumati, Dhamma-Megha) then called "Buddha", becoming a Buddha is the culmination of the life of Bodhisattva. This identity has been given as Bodhi (Knowledge). In modern India, Dr. Babasaheb Ambedkar, father of Indian Constitution, is called Bodhisattva. It is said that Buddha Shakyamuni is only a Buddha - there were many before him and further in future. He said that any Buddha can become if he should follow the full ten Paramitas and receive Bodhisattva and get ten forces or lands after Bodhisattva. The ultimate goal of Buddhism is to end the suffering of entire human society. "I teach only one substance - sadness, there is the cause of misery, there is the prevention of suffering, and the path to the prevention of suffering" (Buddha). Followers of Buddhism do not walk on the Ashtangi path and try to get rid of ignorance and sorrow and get Nirvana.